is the process of improving the volume and quality of traffic to a web site from search engines via "natural" ("organic" or "algorithmic") search results. Usually, the earlier a site is presented in the search results, or the higher it "ranks," the more searchers will visit that site. SEO can also target different kinds of search, including image search, local search, and industry-specific vertical search engines. As a marketing strategy for increasing a site's relevancy, SEO considers how search algorithms work and what people search for. SEO efforts may involve a site's coding, presentation, and structure, as well as fixing problems that could prevent search engine indexing programs from fully spidering a site. Other, more noticeable efforts may include adding unique content to a site, and making sure that the content is easily indexed by search engines and also appeals to human visitors. Search engine optimization ( SEO ) Eye tracking studies have shown that searchers scan a search results page from top to bottom and left to right, looking for a relevant result. 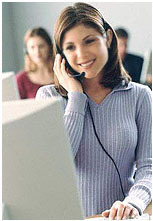 Placement at or near the top of the rankings therefore increases the number of searchers who will visit a site. However, more search engine referrals does not guarantee more sales. SEO is not necessarily an appropriate strategy for every website, and other Internet marketing strategies can be much more effective, depending on the site operator's goals.A successful Internet marketing campaign may drive organic search results to pages, but it also may involve the use of paid advertising on search engines and other pages, building high quality web pages to engage and persuade, addressing technical issues that may keep search engines from crawling and indexing those sites, setting up analytics programs to enable site owners to measure their successes, and improving a site's conversion rate. SEO may generate a return on investment. However, search engines are not paid for organic search traffic, their algorithms change, and there are no guarantees of continued referrals. Due to this lack of guarantees and certainty, a business that relies heavily on search engine traffic can suffer major losses if the search engines stop sending visitors. According to notable technologist Jakob Nielsen, website operators should liberate themselves from dependence on search engine traffic. A top ranked SEO blog Seomoz.org has reported, "Search marketers, in a twist of irony, receive a very small share of their traffic from search engines." Instead, their main sources of traffic are links from other websites. 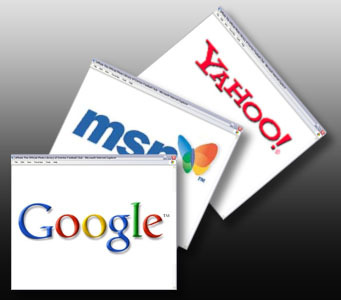 The search engines' market shares vary from market to market, as does competition. 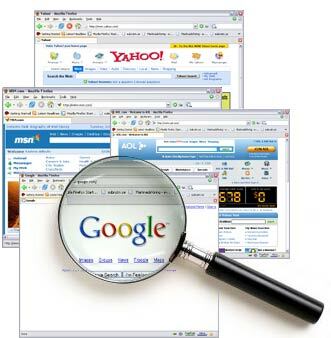 In 2003, Danny Sullivan stated that Google represented about 75% of all searches. In markets outside the United States, Google's share is often larger, and Google remains the dominant search engine worldwide as of 2007. 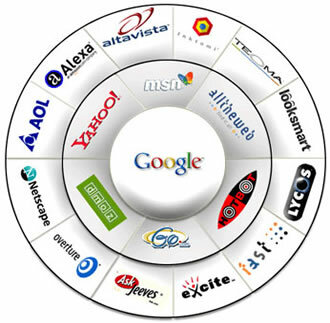 As of 2006, Google held about 40% of the market in the United States, but Google had an 85-90% market share in Germany. While there were hundreds of SEO firms in the US at that time, there were only about five in Germany. Successful search engine optimization ( SEO ) for international markets may require professional translation of web pages, registration of a domain name with a top level domain in the target market, and web hosting that provides a local IP address. Otherwise, the fundamental elements of search engine optimization ( SEO ) are essentially the same, regardless of language.